425 Park Avenue rising in Midtown. 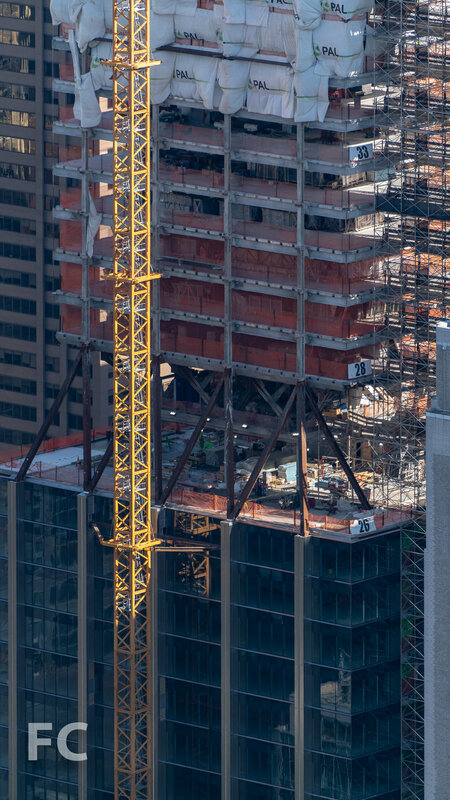 Construction continues at 425 Park Avenue, L&L Holding Company's 47-story office tower rising on Park Avenue in the Midtown East neighborhood. 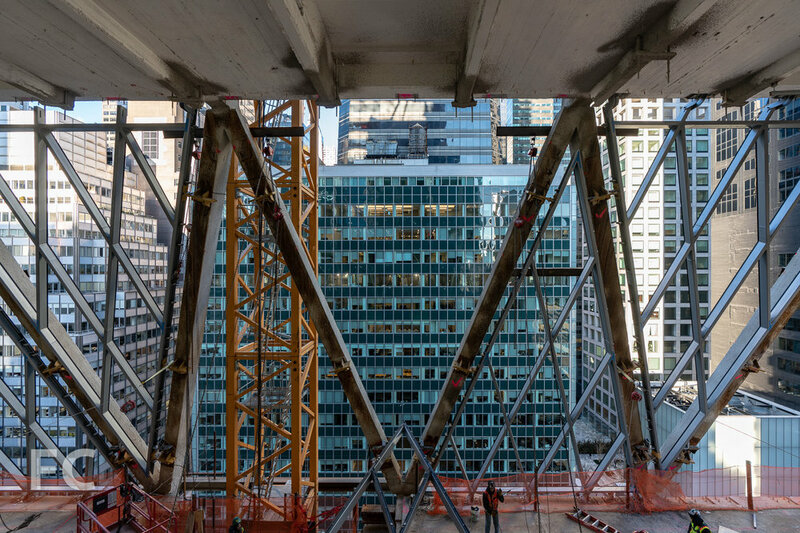 Designed by Foster + Partners, the tower replaces a 30-story tower formerly on site, keeping approximately 25% of the previous structure to allow for more height. The massing strategy calls for three distinct volumes separated by triple height setbacks with diagrid structure. 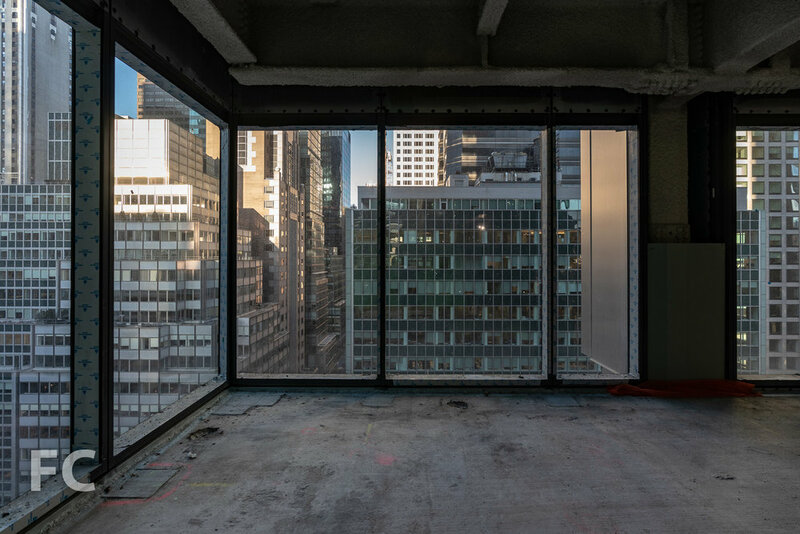 While the first setback at floor 12 will be leased as office space, the Club Level at the second setback on floor 26 will offer to all tenants a wellness center and food service by Chef Daniel Humm and restaurateur Will Guidara. 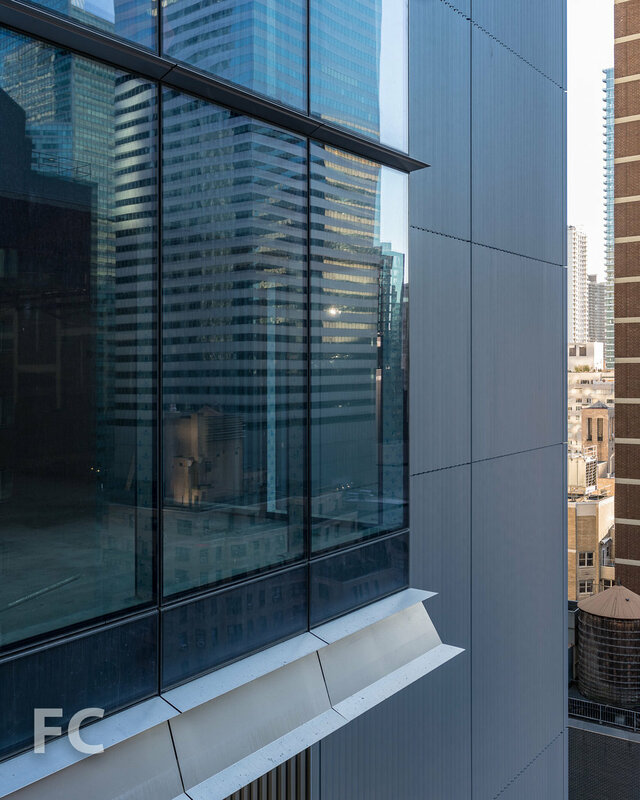 Installation of the tower facade is nearing the halfway mark and is composed of unitized curtain wall vision panels, textured stainless steel column cladding and solid panels at the elevator and services core at the east facade. Northwest corner from Park Avenue. Looking up at the west facade from Park Avenue. View to the west from a top third office floor. View to the northwest from a top third office floor. Looking up from the second setback on floor 26. Looking north at the second setback on floor 26. Southwest corner of a middle third office floor. Raising a diagrid panel into place at the first setback on floor 13. Looking southwest from the mezzanine of the first setback on floor 14. Southwest corner of a lower third office floor. Northwest corner of a lower third office floor. 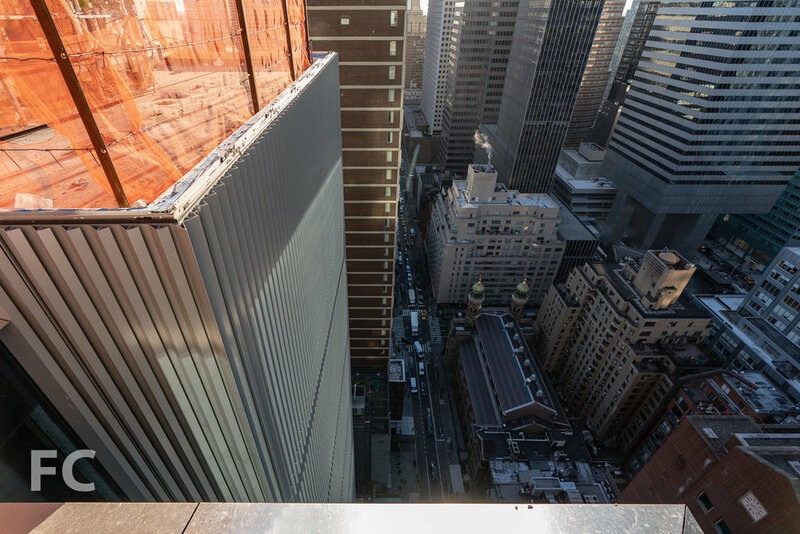 Architect: Foster + Partners (Design Architect), Adamson & Associates (Architect of Record); Developer: L&L Holding Company, Tokyu Land Corporation; Construction: Tishman Construction; Structural Engineer: WSP; Program: Office, Retail; Location: Midtown East, New York, NY; Completion: 2019.